This is the Italian hardback edition of Hunting Badger, Hillerman's fourteenth Navajo Mystery novel featuring Joe Leaphorn and Jim Chee of the Navajo Tribal Police. This edition was published in 2000 by Piemme in Casale Monferrato, Italy. The text was translated into Italian by Amedeo Romeo. The cover was designed by Studio Aemme with the cover photo by Corbis/Grazia Neri. 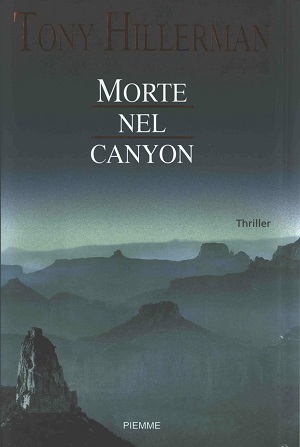 The cover features a photo of a hazy canyon scene. Binding: Dark green boards with author's name, title and publisher printed in white on the spine.